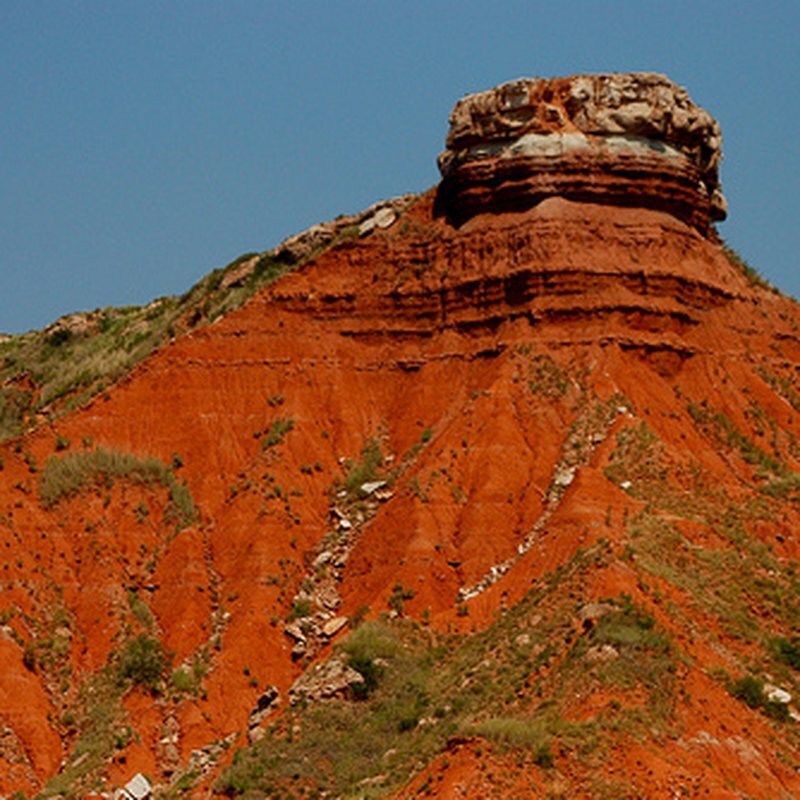 An hour west of Enid in the rural town of Fairview rests a true Oklahoma treasure: Gloss Mountain State Park. The Gloss Mountains, sometimes called the Glass Mountains, have a high Selenite content that mimics a shiny glass exterior. Though there are no lodging or campsites located in Gloss Mountains State Park, guests can enjoy the Cathedral Mountain hike from sunrise to sunset. 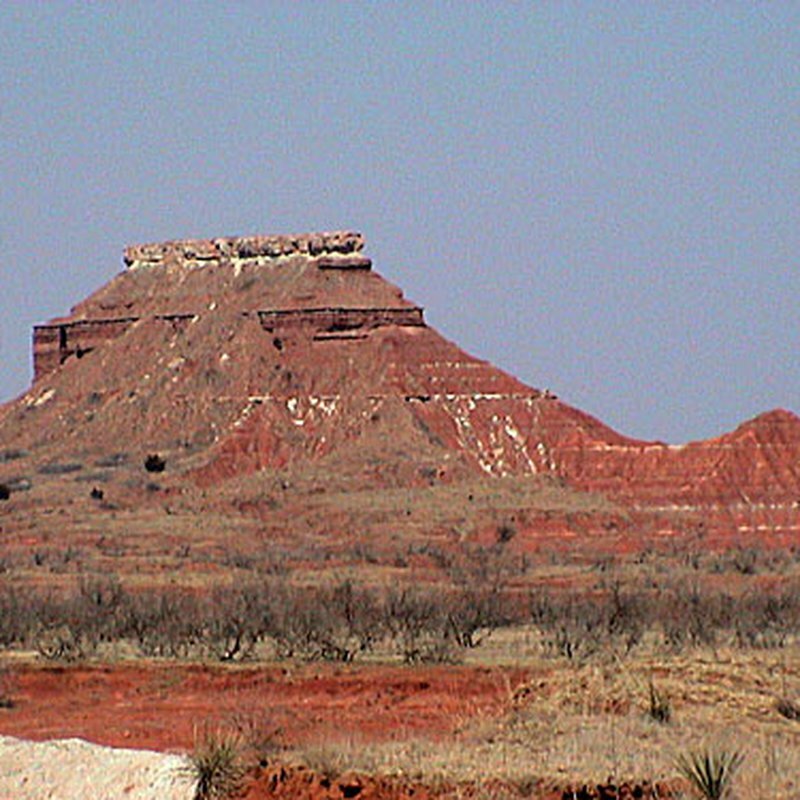 The spectacular scenery makes this a truly unique Oklahoma state park. Park facilities include a restroom, pavilions, picnic areas, grills, public water supply and a handicap-accessible trail. The mountain's popular trail runs from the parking lot to the top of Cathedral Mountain and across the mesa, offering a spectacular view of the valley floor and Lone Peak Mountain. Miles of prairie floor stretch out as far as the eye can see, broken up only by the native red dirt and sparse green shrubbery. Buzzards and eagles loom overhead, while lizards and insects will become familiar friends along the rocky terrain. Bring a camera to capture the unique land geography, geological formations, Selenite gypsum, scenery and wildlife. After a morning or afternoon hike, head over to Gloss Mountain Outfitters where you can camp out at a tent site or bring your own RV. 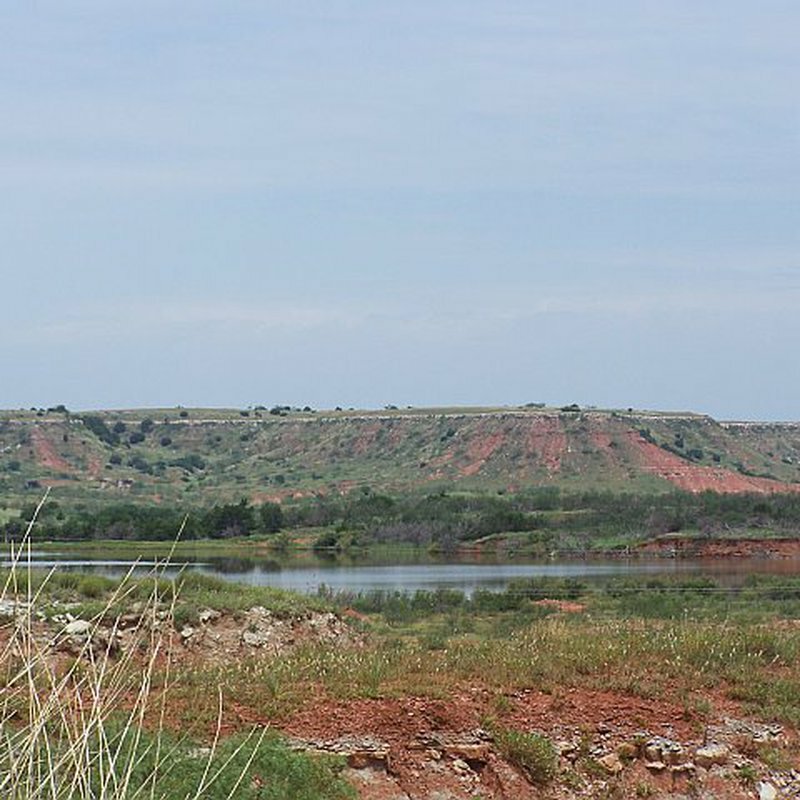 The Newton Ranch also offers tons of activities like horseback riding, hayrides, hiking and fishing. 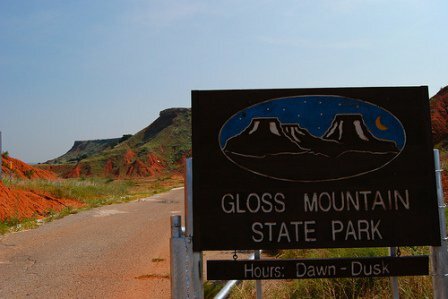 Whatever you choose to do on your stay, Gloss Mountain State Park is a must-see landmark.